Apple and Google must have “hugged it out” when we weren’t looking because Google Voice has slipped onto the iPhone. Apparently, Google has remedied the situation by adding a dash of HTML5 into Voice’s Web interface. It looks like Google and Apple got over their spat [not really] with or without the FCC. 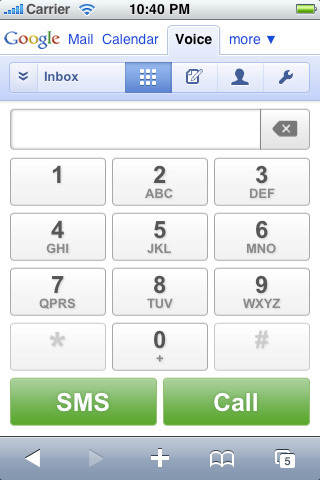 The new Google Voice mobile Web app is for iPhone OS 3.0 and higher and Palm Web OS devices. Google says this new web technology that makes it possible to run faster, richer web-based applications right in the browser—although you still need a Google Voice account. Google posted a lovely and educational tutorial video that helps you add the app to your iPhone’s Home screen.